So last Sunday was a Boxing Day. As per the Boxing Day Rules it had been booked out in my diary for some time, and also as per the rules I had no plans whatsoever. So what did I do with my day of unscheduled free-form fun? There was a little facebook activity, a half hearted attempt at sorting through the edits for my novel, but other than that I pretty much spent the day sleeping, or sitting in front of the TV. And blimey-o’riley did it feel good. I’d spent much of the previous day travelling back from Devon in horrendous bank-holiday traffic, and when I eventually made it home home, Essex was in the midst of a freak monsoon. Seriously. We had two inches of rainwater in thirty minutes, and it didn’t stop raining for another thirteen hours. Whether any of this was responsible for the way I felt on Sunday morning I’m not really sure. All I knew is that once I’d dragged myself out of bed I didn’t really want to do anything more taxing than make a cup of tea, and sit in front of the tube. And as per the Boxing Day Rules – that’s absolutely fine. I pass this on because I had a ‘happy talkie’ session the other week with a reader who was beating herself up for not having enough items on her ‘potential-Boxing Day‘ list. She’d somehow got it into her head that although Boxing Day isn’t planned, it’s still a day when LOTS happens (hence why it requires a list). But that’s not the case at all. Boxing Day is a day for you. It’s a day to recharge. Be in the moment. Do whatever you fancy. The list is there simply to safe guard you against boredom, or in case you’re not feeling particularly inspired, but it’s by no means essential. If all you want to do on Boxing Day is chillax – as my niece would say – then that’s fine too. And if you enjoyed that you might find this version (by Megan Nicole) equally entertaining. I particularly like the way she ‘cleans up’ some of the lyrics whilst her Mum’s sitting in the background reading a self-help book. Feel free to share your Boxing Day experiences, questions, or observations in the comments box below, or over on the facebook page. It’s a funny thing about running Happiness Workshops, I’ve started to notice that the same ‘wishes‘ – and therefore thesame ‘goals‘ – come up time and time again. Many people for instance want to embark on exotic trip around the world, visiting as many wondrous sites as possible. Others have burning desires to write a best seller (though asking to see someone’s ‘first chapter’ is usually enough to ensure they never come back to Happy Club ever again). But THE, number one goal – the one that perhaps half the attendees in any given workshop will share – is to lose weight. And I can understand that, because I’ve been there too. It seems to be the curse of the thirty / forty something. And not that long ago I too was standing in front of the mirror, wondering where on earth the skinny figure of my twenties went to, and why my body hated me so much. Of all the goals I’ve set myself over the years, shedding those extra pounds was one of the toughest. Like most people I started with what seemed like obvious solutions (broadly summarised by ‘eating less’ and ‘moving more’) – but when those things didn’t work for me I threw my heart-rate monitor in the bin and went in search of something that might. After much trial and error, I cracked it. I’m back to the size I was when I first met Kate, and whilst I wouldn’t call myself an expert, I definitely learnt a thing or two about weight loss on the way – stuff that I’d very much like to pass on. Which is why last year I teamed up with Author Della Galton, and co-wrote my second book; How To Eat Loads And Stay Slim. It’s a mixture of hard science (eg. how hunger really works), quick ‘cheats’ (eg. how to make zero fat chips), psychological techniques (eg. why focusing on your food as you eat is really important), ingenious strategies (eg. how to cut down on sugar without going cold turkey), and easy peasy recipes (eg. my ‘roast potato & egg smashup breakfast’ or Della’s ‘apple ginger clafouti’) – all served up in an easy-to-digest, humourous read from authors who’ve been where you are now. If you’ve read How To Do Everything and Be Happy, the format will be familiar to you. Several broad chapters, broken into smaller sections, each of which result in an Action Point. However each thought provoking, scientifically-provable, action point also has a STAR RATING. There are fifty four stars available. You get one just for buying the book! Collect enough and you’ll steadily increase your chances of being able to eat loads AND stay slim. Collect enough stars (thirty or more would be a good target to have) and we personally guarantee that a slim figure, coupled with a healthy but satiated appetite, are yours for the taking. No dieting required. How To Eat Loads And Stay Slim is available right now as an ebook, paperback and audio download. You can read the opening chapter here, or how about we read it for you? Just click the big play button in the video link below to listen to the opening chapters. As with all goals why not share your experience with ‘the class’ in the comments box. If you enjoyed listening to us you can download the entire book from audible (.co.uk | .com) – an amazon company and the internet’s largest supplier of spoken word entertainment. If you’re new to audible, and in the UK, you can get it for free. Just use this link, follow the instructions and search for ’How To Eat Loads And Stay Slim’. Last week – ish – I introduced you to Bob and his wish list which was, I don’t think he’ll mind me telling you, made up of quite a lot of stuff you wouldn’t ‘wish’ on your worst enemy. Not long after I’d sent you the email I was reading your book again and got to the page about Wish List items leading to Happiness and thought – oh my that’s it. Lots of things on that list aren’t wish list stuff at all. But I’d already sent the email. I think what I presented to you isn’t my Wish List, its my list of Brain Farts. Another book calls them pop-corn thoughts because they POP into your head. I prefer Brain Farts. I am a master list writer and I write all these brain farts down. This leads to a big list that I don’t know what to do with. Which is what I sent to you. Its actioning the items on those lists that’s a problem. I think what would make me happier (I’m not unhappy) is to become someone that can get those nagging jobs just done to make more space for Live Life Now Lists and Wish List stuff. Ah Bob. I feel your pain. I’ve been there. Making endless lists of chores which if I can just get some of them completed, will free up so much time, and relieve me of all those niggles I feel through out the day. So let me spare you some torment and make life considerably easier for you. It ain’t ever gonna happen. You’re never, ever, going to clear your brain fart list. Ever. Have you ever noticed how it doesn’t matter how big that suitcase is, when it comes to holiday packing it’s never quite big enough? Or how your wife manages to fill her handbag with all kinds of rubbish regardless of whether it’s the size of a small purse or large enough to comfortably hold a small child and a three volume novel. So it is with brain farts, and chores, and all those annoying things that seem to stand between you and a smile. They fill up whatever space you allow them to have. And therein is your solution. Take back control and give those farts no space whatsoever! Now I’m not saying ignore them. That won’t work for you. Not unless you’re one of those people who are blessed with the amazing ability to live life totally in the moment, never worrying about what might happen next week, or tomorrow, or in the next five minutes, and instantly forgetting anything that happened longer than a moment ago. But chances are if you were one of those people you wouldn’t be reading this now. No – you need a way to manage those brain farts. I accept that. Here then, is what I do. 1. When I get a brain fart I text/email myself, or write it on a scrap of paper. Anything, just to capture it and get it out of my head. 2. I have a text file on my computer desktop. You could use a pad or something equally low tech, but you need a dumping ground. As a new brain farts arrives (or you come across the ones you captured at stage one) transfer them here. 3. Once a month review this document, and group the farts together into subject matter – WRITING, FUN, NOW LIST, CHORES, FINANCES, BUSINESS TASKS, COMMITMENTS.. things like that. 4. Transfer all these items to a master to-do list, and then review it – deciding which THREE of all the brain farts under that section (including the ones from previous months) should get your attention, which can be dumped, and which should just stay in pending. Picking just three farts focuses me on what’s actually important. Often I check to see how the three things I’ve chosen relate to my Goals. 5. Having decided which three items (they’re not farts any more) I’m going to work on I then decide what the next action is for each of them (do I need to call someone? Do some research? Read a book? Buy a widget? Talk to my assistant?) and when I’m going to do that (take a look at the Advanced Diary Tips at the end of the book for more on that). And that’s it. It’s actually a lot less onerous than it might seem, and in doing this I prevent brain farts from taking over my life. True my oven could still do with a clean. True my wardrobe could also do with a lick of paint. True, at some point I still need to call the bank and have my sanity gradually erased by someone who has no intention of actually helping me, but… not today. Today I’m busy being happy. Hot news! Today ‘How To Do Everything And Be Happy’ is available, in paperback, from selected US bookstores and from amazon.COM – hurrah! To mark this auspicious occasion, my US publishers (Harper 360) have decided to give the US-printed paperback a brand new, all-yellow cover. Of course the inside of the book remains exactly the same – this isn’t a new edition – so there’s no need to rush out and buy a new copy of the book if you already have one. Although I would certainly understand if that were the case. And can one ever have too many copies? Plus – one imagines – there might be those amongst you who might see a market for importing the US branded copy of the book, and selling it here in the UK as a collectors edition. I’m just saying. 15. Thought = pay-off student loan or mortgage???? That’s an impressive list of 66 assorted items. And Bob’s right, there are quite a few items on here that seem a tad dull and more like day-to-day to-do list items. Let’s back up for a moment and consider what should and shouldn’t make your wish list. You’ll remember from the book that your wish-list is is basically a list of items that pop into your head when faced with the question ‘what do you want’. But I can see a number of items on Bob’s list that don’t appear to be an answer to that question. Numbers 16 and 17 for instance. They seem to be answers to a slightly different question (‘how do we reduce our outgoings?’). Number 49 is quite interesting too. Does Bob like doing lots and lots of competitions? Is that what he really wants to do? But a wish list is more than ‘things that you want’ – if you look on page 130 of the book (the final part of the section entitled ‘Making a Wish List’) you’ll notice that items on your wish list should also be there because getting that thing would make you HAPPY! I’m wondering just how happy Bob would be if his printer could give him page counts. 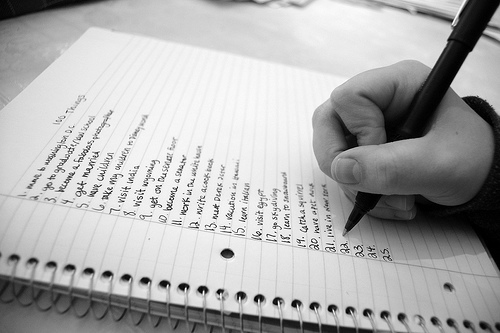 Finally, remember the idea of a wish list is to feed into your Goals. You take the top three wishes, turn them into goals, then put away the wish list until a goal slot becomes available. With this in mind, he might never get to learn about page counts. Now I don’t mean to tease Bob, because I don’t know, maybe page counts really is a big deal for him! I have another reader for whom learning to touch type is one of her three GOALS. One of the three things she wants more than anything else in the world. She’d honestly be that happy if she could type really really fast. ..and when he’s re-written it as a goal, all those house-repair jobs that are currently on his wish list (but shouldn’t be) will miraculously become possible next actions to achieving his goal. Anyway, here’s hoping this helps Bob, and you too if you’re still struggling with your wish lists or goals. I’d really like to know your thoughts. You can post them in the comments below. This year sees the first International Day of Happiness – as adopted by all 193 member states of the United Nations, in a bid to give ‘Happiness’ greater priority in the world. As part of the festivities here in the UK, Olympic and community heroes will be honoured by Lord Richard Layard in a gold medal ceremony at the House of Lords. And when they’re done, those recipients will give away their medals to their own Happy Heroes. 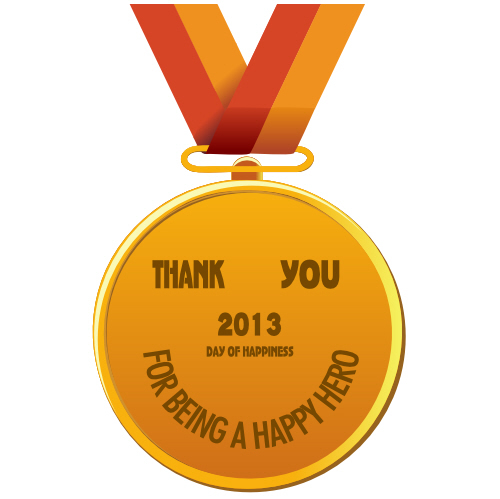 In fact nominating ‘Happy Heroes’ is central theme of what’s being dubbed ‘Happy Day’ (#happyday on twitter), and the organisers are encouraging you and I to ‘tweet‘ about anyone who puts a smile on our collective faces with the hash tag #happyheroes. Well you don’t have to ask me twice. There have been so many people who’ve made a difference to my life and the success of the book over the past two years that tomorrow I fully intend to mention as many as possible, whilst simultaneously trying to avoid bringing the twitter-servers to a grinding halt. You can follow me on twitter @doitallbehappy if you’re not already doing so, and feel free to share your #happyheroes with me and I’ll retweet them. Happy ‘Happy Day’ people. Let’s change the world. I’m a big fan of anything that reveals how the brain works, and particularly how the brain works in relation to ‘focus’. With that in mind (no pun intended), see how you get on with these 13 questions. 1. What relation is your niece’s brother to you? 2. How many birthdays does the average man have? 3. Some months have 31 days; how many have 28? 4. Is it legal for a man in Scotland to marry his widow’s sister? 5. Divide 30 by 1/2 and add 10. What is the answer? 6. If there are 3 apples and you take away 2, how many do you have ? 7. A doctor gives you three pills telling you to take one every half hour. How many minutes would the pills last? 8. A farmer has 17 sheep, and all but 9 die. How many are left? 9. How many pairs of animals did Moses take on the ark? 10. How many two pence stamps are there in a dozen? 11. You are participating in a race. You overtake the second person. What position are you in? 12. Note: This must be done in your head. Do NOT use paper and pencil or a calculator. Take 1000 and add 40 to it. Now add another 1000. Now add 30. Add another 1000. Now add 20. Now add another 1000. Now add 10. What is the total? 13. Mary’s father has five daughters: 1. Nana, 2. Nene, 3. Nini, 4. Nono. What is the name of the fifth daughter? 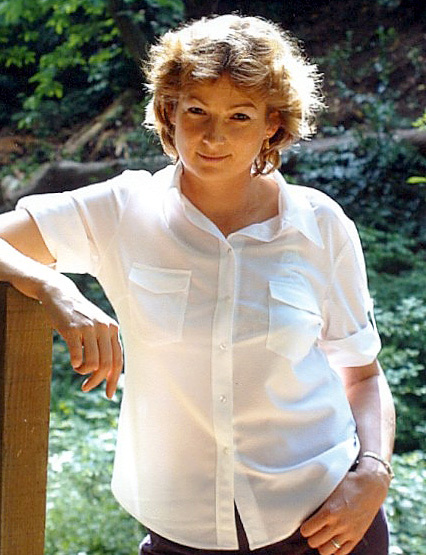 Earlier today (well, yesterday by the time you read this), Della Galton – author, journalist, women’s magazine fiction legend, and all round lovely person – interviewed me, via the awesome power of twitter, about Boxing Day. Readers Vikki & Jayne chimed in too. DellaGalton: @doitallbehappy I have it on good authority that you invented #boxingday is this true? DellaGalton: @doitallbehappy So tell me about this re-invention? DellaGalton: @doitallbehappy So you have a day exactly like today once a month. Is this right? Would you have Christmas Day and turkey the day before? doitallbehappy: @dellagalton LOL. For me #BoxingDay isn’t anything to do with xmas. It’s only called Boxing Day because that’s when the 1st one happened. DellaGalton: @doitallbehappy So, are you saying anyone can have a #boxingday at any time of the year? What gave you this idea? doitallbehappy: @dellagalton Yes. That’s the idea. I pre-plan my Boxing Days – one a month. DellaGalton: @doitallbehappy what kind of themes exactly? doitallbehappy: @dellagalton Cooking is one; I’ve made chocolate brownies, treacle tart, many many pizzas (base included), and truck loads of flapjacks. DellaGalton: @doitallbehappy Are there any rules for #boxingday activities then? doitallbehappy: @dellagalton @vikkithomp Rule 1: No-pre-planning! Rule 2: Book BD in advance. Rule 3: You can move BD but you can’t cancel it!! Jayne_A_Curtis: @DellaGalton @vikkithomp @doitallbehappy Im having a large Tia Maria on Ice, I definitely didnt plan it, honest. DellaGalton: @Jayne_A_Curtis @vikkithomp @doitallbehappy Now, that sounds like a fine plan Jayne. Peter is this a valid #boxingday activity? doitallbehappy: @dellagalton I guess I was doing what Kate (my late wife) and I used to do on our Boxing Days. DellaGalton: @doitallbehappy Ah, so Kate was the reason you reinvented #boxingday? doitallbehappy: @dellagalton In a way. BD was ‘our’ day. The 1st year without her I replicated what we’d done. After that I decided to do it each month. DellaGalton: @doitallbehappy Ahhh, that is so romantic. Have you had any other romantic #boxingdays? Romance sounds like a fine theme.